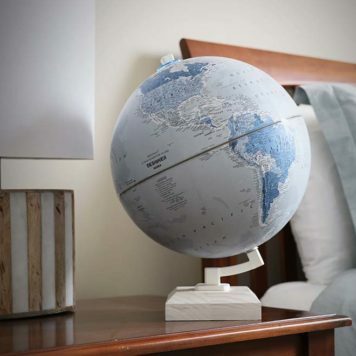 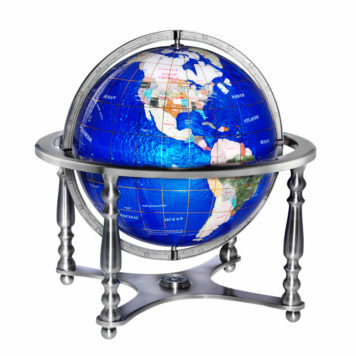 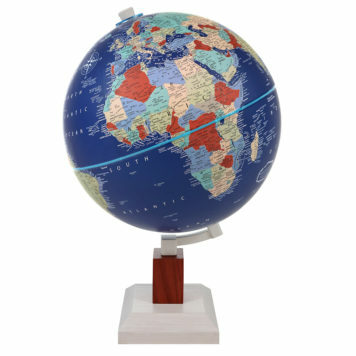 The Berkner is an extraordinary globe with an up-to-date political map and a gorgeous two-tone color palette that offers both style and function. 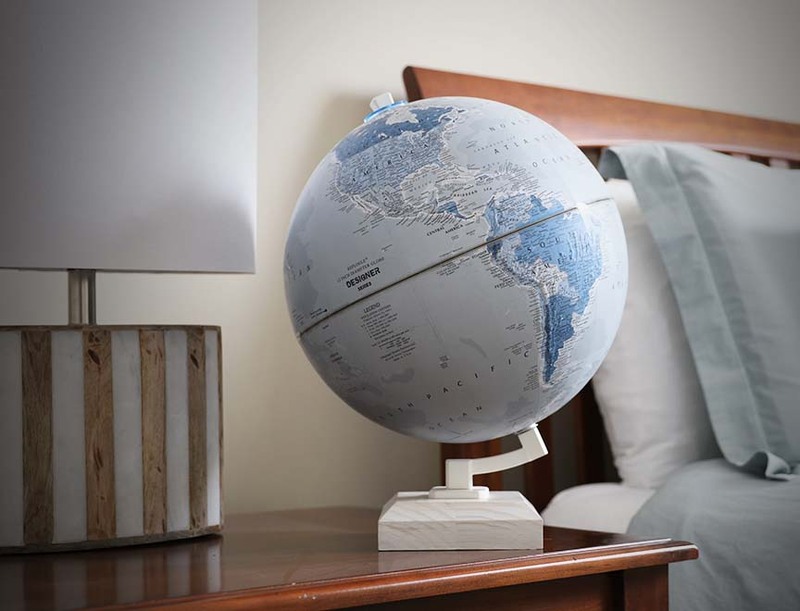 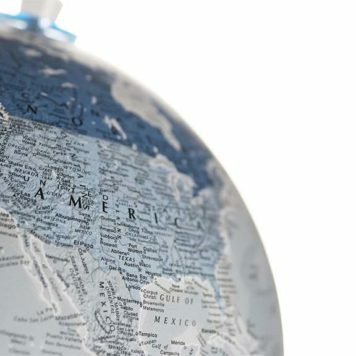 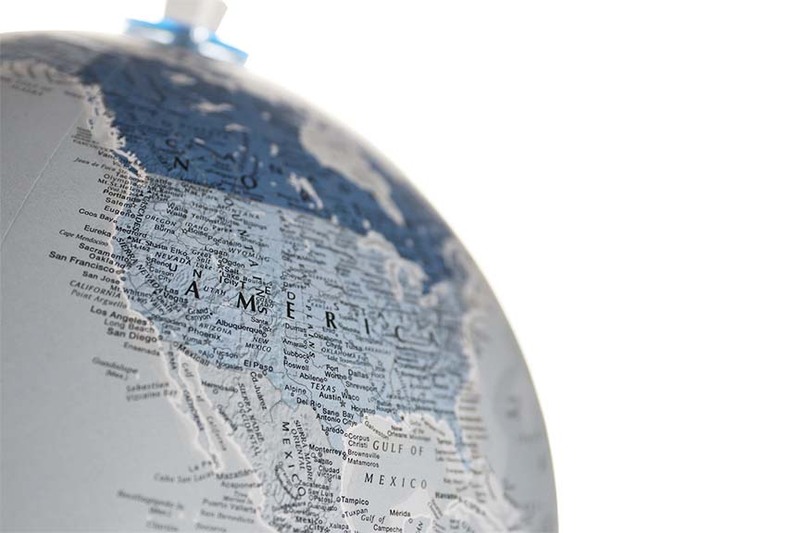 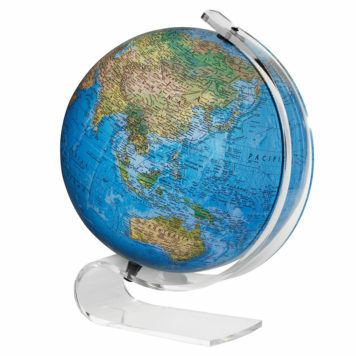 Explore over 3,000 place names on this globe but be sure to let your fingertips do the walking so you can appreciate the unique soft “velvet-like” finish of the globe. 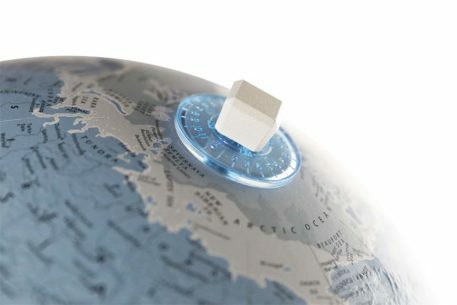 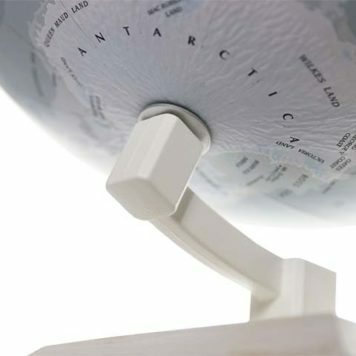 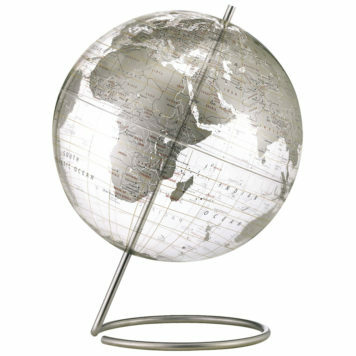 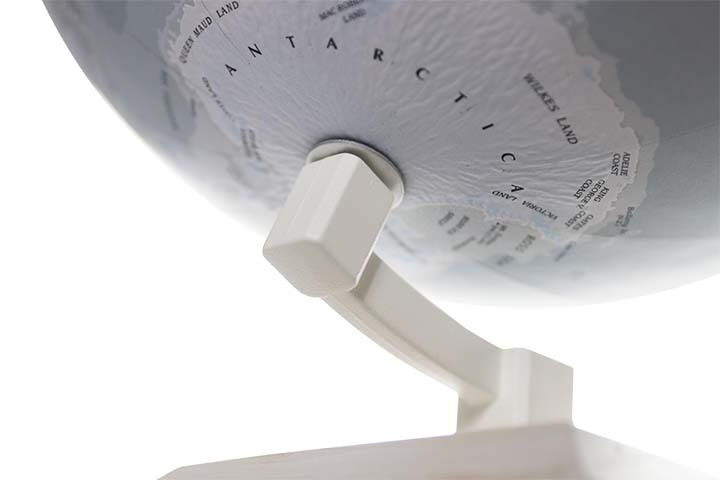 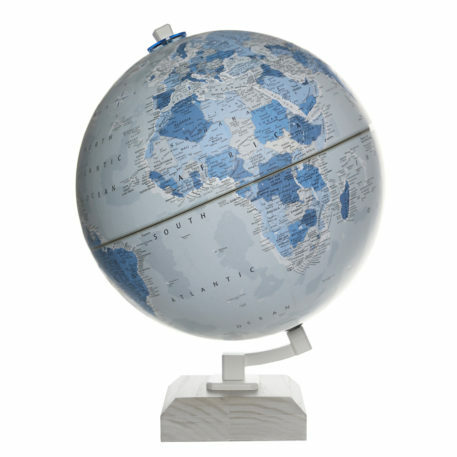 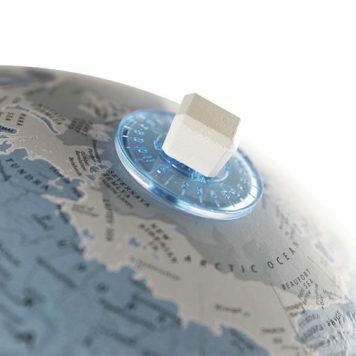 This globe also features a unique “raised relief” embossing that provides a 3D-like texture to the certain terrain. The globe ball is complemented by a uniquely styled white wood base made from solid ash and matching inclination bracket. 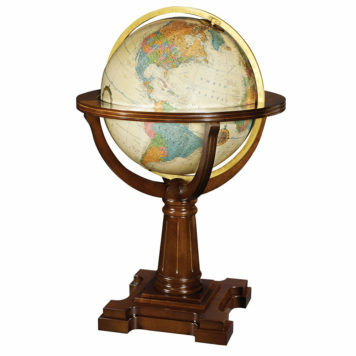 The Berkner Globe from Replogle’s Designer Series is the perfect accent piece for any room.